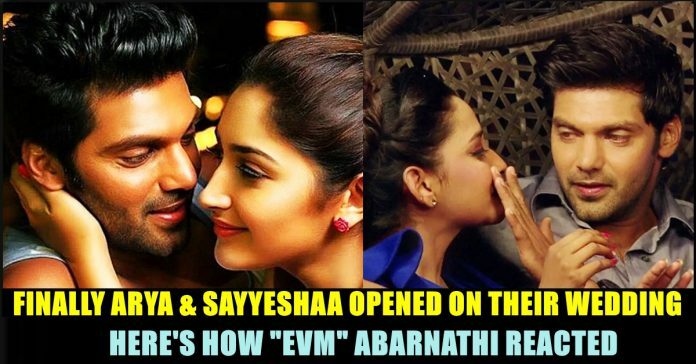 Finally Arya & Sayyeshaa Opened On The News Of Their Marriage !! Check Abarnathi’s Reaction !! 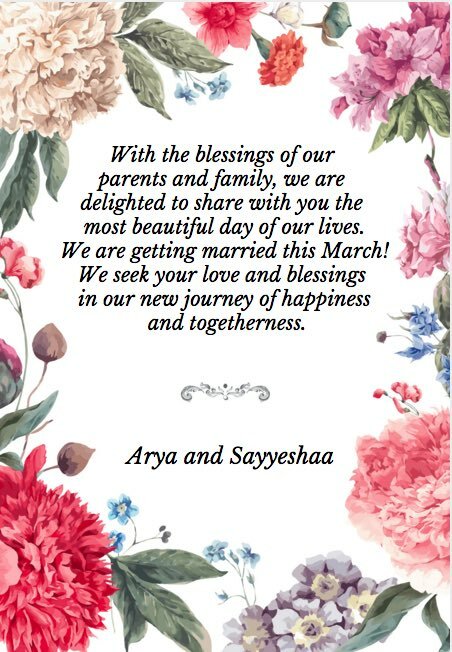 For nearly a month, the news of Sayyesha and Arya’s marriage doing rounds on almost every media pages and websites. In a way of confirming it the duo has officially posted their wedding news in their respective twitter accounts on the day of Valentine’s. Both their post contained similar pictures of themselves. 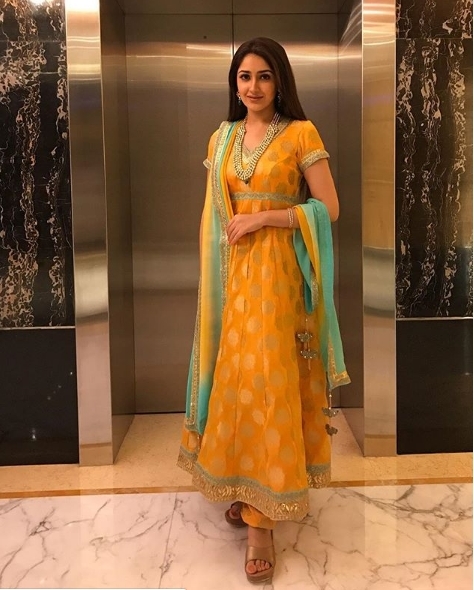 Tamil actor Arya and Shivaay actress Sayyeshaa Saigal, who have been friends for quite some time, are reportedly ready to take their relationship to the next level. Sayyesha is 17 year old younger than the actor as he is 38 year old where the actress is only 21 year old. Sayyeshaa is the grand niece of veteran actors Dilip Kumar and Saira Banu. He mother Shaheen Banu had apparently extended warm hospitality towards Arya during the time he was busy filming the foreign schedule of the KV Anand-directed Kaappaan, which suggested that Arya was now a part of the family. Last year, Arya participated in a matchmaking reality television show Enga Veetu Mapillai in order to find for himself a life partner. Things did not go as planned, however, when during the finale of the show, the actor refused to marry any of the finalists on account of the feelings of the respective families. Known as the most eligible bachelor of Kollywood, Arya had always been linked with different heroines during various stages of his career, including Pooja, Trisha, Nayanthara and many others whom he had paired with on screen. Arya and Sayyeshaa reportedly grew close on the sets of their 2018 movie Ghajinikanth and are now ready to begin a new chapter of their lives together. 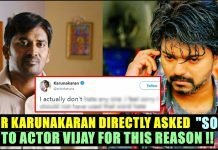 Meanwhile Abarnathi who went close to marry Arya through “Enga Veetu Mapillai” show said that it might be a rumour earlier. Abarnathi is one of the contestant of “Enga Veetu mapillai” show who is loved by many though she did not reached the finals of the match making reality show. She is currently working in the movie “Jail” which has G.V Prakash in the lead role. 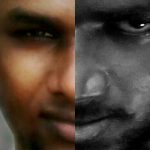 Directed by “Angadi Theru”, “Kaaviya thalaiavan” fame Vasantha Balan, the film is on shooting progress. Yesterday when a fan page said that the news is confirmed officially, Abarnathi still believed that it is fake. 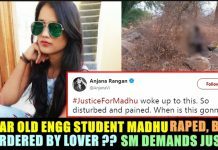 However she said this before the tweets of Arya and Sayyeshaa. We have to wait and see the reactions of those 16 girls who participated in “Enga Veetu Kalyanam”. Let us also wish the couple a very happy and prosperous life ahead ! Previous articleFan Page Uploaded A Funkiest Picture Of “Ever Handsome Maddy” !! His Reaction Was Just Hilarious !! 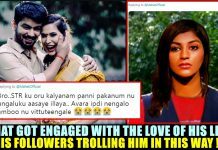 Next articleVishnu Hilariously Trolled Arya After The Official Confirmation Of His Marriage !! ROFL ! !